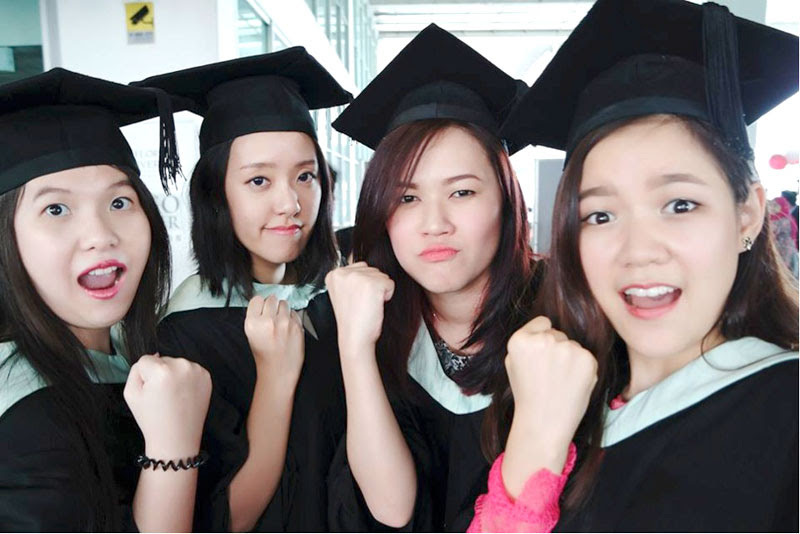 Celebrating 1 year with my first company after graduating, I have decided to blog about some tips for fresh grads to find jobs after finishing college / university. In college, I used to think LinkedIn was lame. Like why would I need another social media platform when I already have a Facebook account? 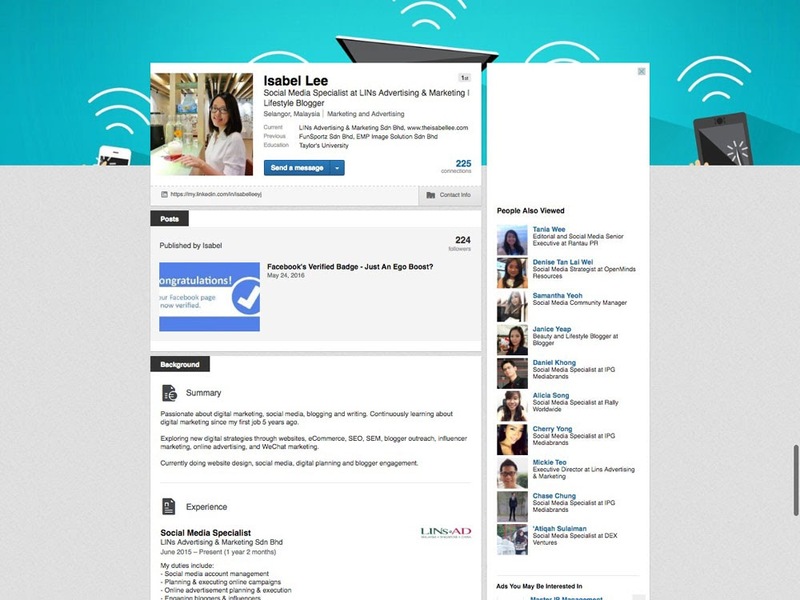 However, due to my job I had to explore it later on and I discovered how amazing LinkedIn really is! You get connected to various people and companies, read articles to learn and most importantly, get headhunted often by HRs and headhunters. To maximise it, fill in anything you can, interact in groups and share appropriate articles. My favourite section is the Pulse where people from all over the world publish their articles. You can select the topic you are interested in and learn a lot from the industry seniors. With even a tiny bit of experience, you would have an advantage over your peers already! Having worked before, you may be able to assimilate into the working culture easily and would require less training. I had the opportunity to work with various brands on social media management and blogger collaborations, giving me the advantage of having work experience even before graduating. You may use your internship to gain experience as well. Pick your company well because if you perform, they may hire you for a full time position. No work experience? No problem.. Even if you do not have any past experiences or work to show during your interview, there is another option. I have worked hard for my final assignments and did my best during the awards for this purpose. 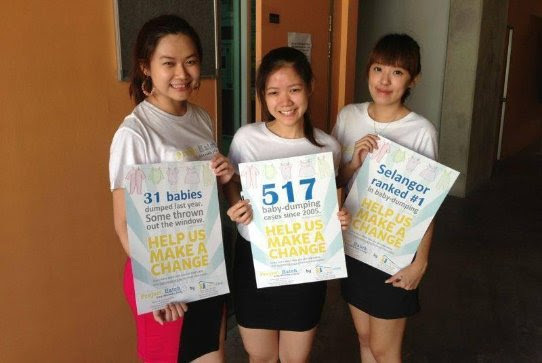 For example, my group’s Public Relations project for OrphanCARE won the Best PR Campaign Proposal at Taylor’s University School of Communication Star Awards in 2013. This can be included in my resume when applying for jobs. Instead of printing everything out, create an online portfolio showcasing all your assignments, written work, past experiences and anything you want to show to your potential employer! Keep it short and simple but interesting enough. I have segmented them into sections (written, creative, social media & blogging work) so it’s clean and easy to access. 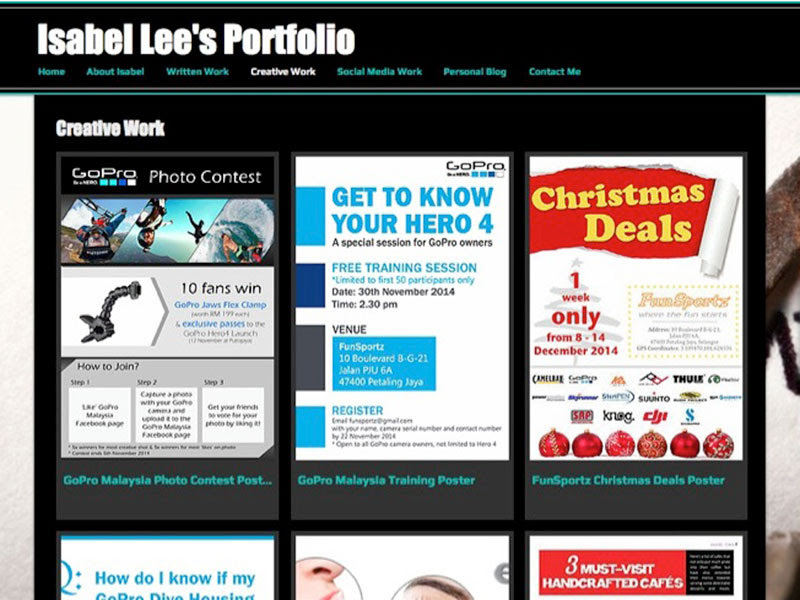 Wix is an excellent free platform to use for your online portfolio due to it’s easy interface and pretty designs. Google online for a resume template and fill in the necessary details with a touch of your personality. Leave out the primary school ‘pengetua kelas’ and irrelevant details. Include the skills you have picked up and paste a professional-looking photograph (no selfies). Unless you’re a graphic designer or want to work at a very creative company, stick to a simpler template that is easy to read and gets straight to the point. Now you are ready! Start to search online for job vacancy in klang or wherever is your desired location. Don’t be afraid to apply for jobs which seem to have too high requirements or if the pay is too low. These can be discussed later on during the interview.